As LSI continues to grow, so has the importance it places on personal development. We recently wrote about five of our teachers who are following an inhouse DELTA course. As well as this, LSI is sending three of its staff to London once a month to follow the DELTM course run by English UK. "This course provides excellent professional development for managers and aspiring managers of language centres, and is run by English UK and validated by Trinity College London. The course focuses on management at three levels: routine, tactical and strategic, and is run by George Pickering, Terry Phillips and Keith Harding. It runs in London from September to June, with ten monthly face-to face sessions, and a requirement to complete five 3,500-word assignments and a 5,000-word project. These are practical, with a theoretical underpinning". 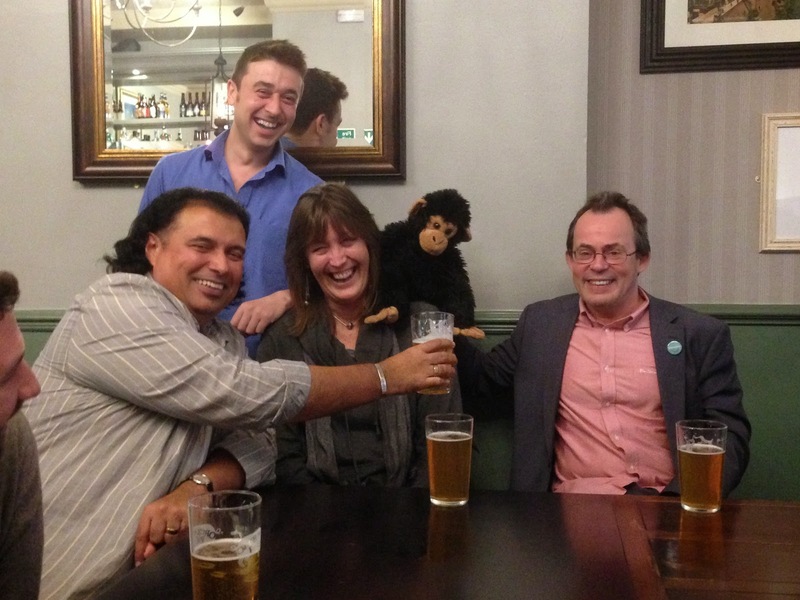 The guys below have just completed their third assignment, and as the photo shows are having a great time in London with the other participants (plus a monkey - used during the course to visually explain a point).